In September of 2001, the new Licking Valley Girl Scouts Bridge on 11th St. in Covington and Newport opened. It replaced the older Shortway Bridge. The Shortway Bridge was originally a toll bridge; tolls were last collected in 1986. 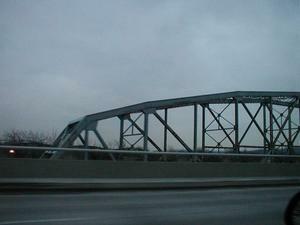 The bridge, a two lane structure constructed in 1914 and 1915, was closed to traffic on April 2, 2001 and was scheduled for demolition in June of 2003. 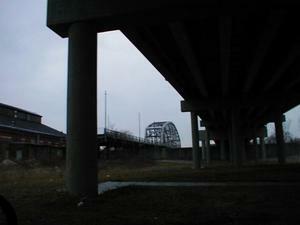 The toll to cross the bridge had been ten cents for vehicles and one cent for pedestrians. Cincinnati Enquirer: Shortway Bridge soon to go away (May 6, 2003) - Story about the then upcoming demolition of the bridge. Description: The Shortway Bridge viewed from underneath the new Licking Valley Girl Scout Bridge in Campbell County. Description: The Shortway Bridge viewed from the new Licking Valley Girl Scout Bridge.